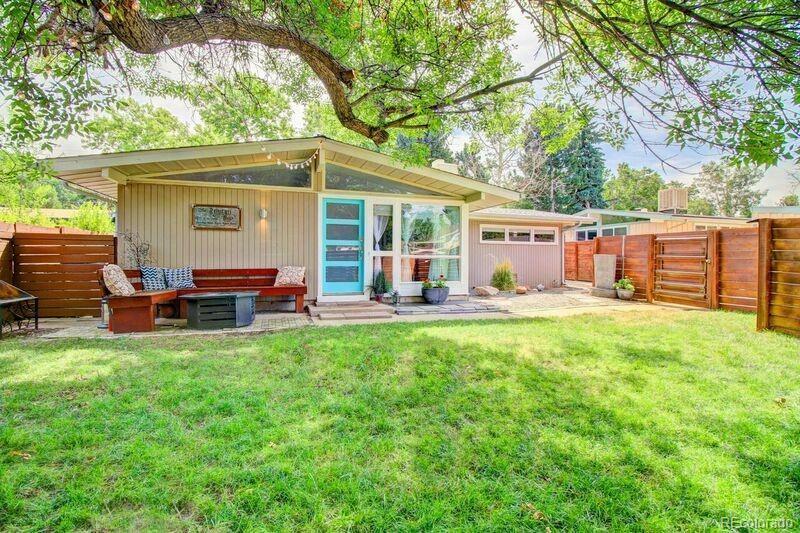 MLS#: 2647873 - Courtesy of Brokers Guild-Cherry Creek Ltd.
Cliff May-style California Contemporary Home In Quiet Suburbia! You Will Feel Right At Home As Soon As You Open The Gate. A Big Shady Tree And Patio Greet You. The Home Has A Wonderful Open Floor Plan With Beautiful Original Stained Wood Floors, Lots Of Light And A Wood Burning Fireplace For Those Cooler Evenings. Ikea Designed Kitchen With Granite Countertops. Two Bedrooms Sharing A Full Bath And A Master Suite. The Back Patio Has Been Enclosed And In The Summer Is Used As A Sitting/TV Room. The New Buyers Can Put Their Own Touch To This Room. There Is Spacious Private Back Yard And Garage Along With A Small Side Yard On The North For The Barbecue! The Home Has Been Tastefully Fenced To Give You That Privacy We All Want. The Home Has Been Re-Done But There Is Room To Renovate More And Bring The Home Back To Its Former Glory. Mid Century Modern Architecture At Its Best. Retail Options Are Close By With Harvey Park And Lake Nearby. Super Cute!! !